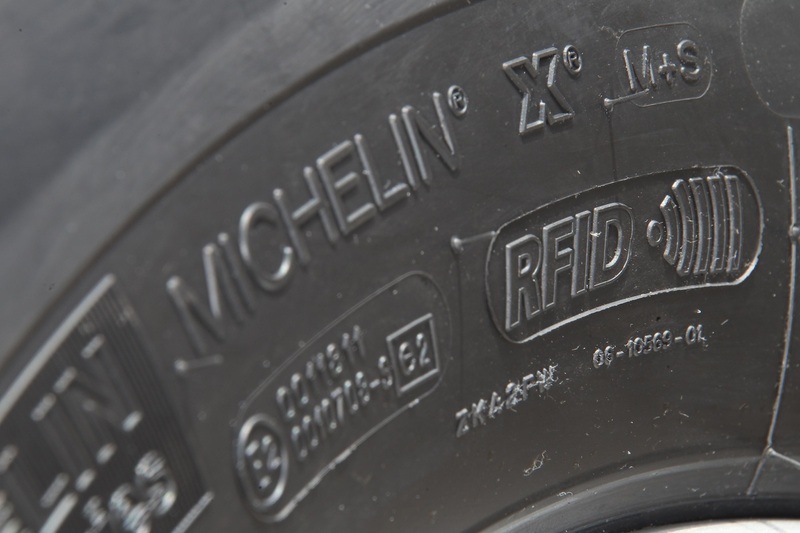 Michelin North America Inc. has begun building radio frequency identification (RFID) tags into its commercial truck tires and retreads that can help users track the tire throughout its lifecycle, including retreading. Initially the sensors’ data storage is limited to being a unique identifier for each tire, but Michelin said it will continue to add the capability to store and transmit additional data around different operating parameters with subsequent generations of RFID sensors. 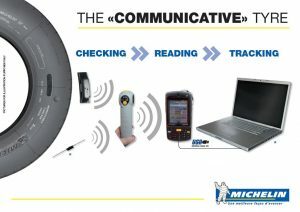 Information from the RFID sensors will be retrievable by fleets, companies in the Michelin Commercial Service Network and Michelin employees equipped with RFID scanners, Michelin said. The unique tire identifier, as well as any data associated with service performed on that tire, will then be accessible for our fleet customers through a Michelin Fleet Portal or over time the fleet’s asset management system. 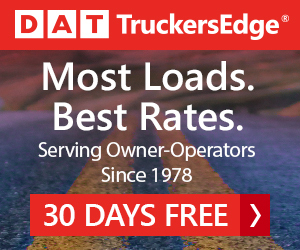 “Technology is transforming the trucking industry,’’ said Ralph Dimenna, chief operating officer, Michelin Americas Truck Tires (MATT), “and Michelin is leading this effort to improve fleet performance and bottom line. 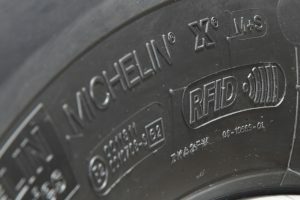 Michelin is curing the RFID sensors into the new tires — currently about 88 percent are so equipped – and is working with the Michelin Retread Technologies Inc. franchise partners to “define the exact methodology’’ for affixing the sensors to tires that were not originally manufactured with sensors cured in. The company has not yet launched an associated Michelin Tire Asset Management offer leveraging this technology, but this initiative is forthcoming, Michelin said. 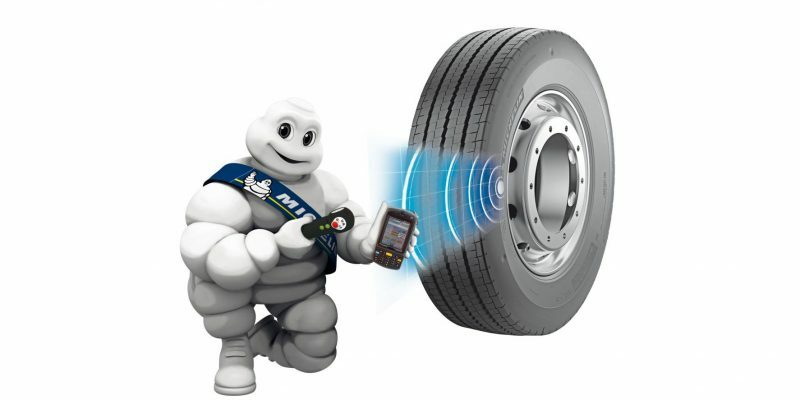 RFID eventually will be a key enabler to multiple Michelin Services and Solutions, the company said, including Tire Care, where RFID will enable the service to be associated to each specific tire, thus adding even more value to this innovative offer. MATT also is upgrading its Michelin Tire Care tire maintenance program to provide users with new features providing fleets’ greater visibility, assurance and ease around the maintenance of their tires. Michelin introduced Michelin Tire Care in 2015 to assist fleets in identifying and addressing tire issues that lead to downtime, low mileage, high fuel costs and safety risks. In the past year, Michelin said one out of five vehicles inspected in the Tire Care program comprised a “red tag’’ event, or critical issues that require immediate attention to avoid an ERS event or CSA violation, while 63 percent of vehicles inspected reported a yellow tag event, an issue that results in additional long-term costs. Ron Reid, operations manager, Transervice Logistics, said his company has essentially halved its monthly emergency road-service calls since implementing Michelin Tire Care. Improved program hardware and software: CAT Smart device has an Android smart phone look and feel with 4G capability and PDA Windows App for agile and customer-friendly operation. Actionable Fleet dashboard: This shows in-depth tire summary including critical analysis of red and yellow tag events, number of vehicles inspected, number of tires inspected and top 10 issues. Red Tag Resolution: As red and yellow tag events are identified during an inspection, Tire Care helps ensure that all critical issues are corrected. The vehicle history shows the work performed and when it was completed. 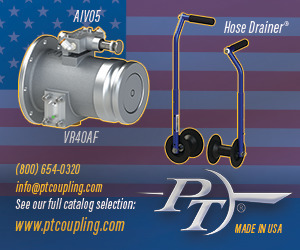 Pricing options: In addition to a flat per-inspection fee, a new hourly pricing option provides an easy tire-maintenance program rolled into one set hourly rate. Self Fit: This is an in-house solution that allows fleets to perform their own inspections via a flat monthly fee with no restrictions on the number of inspections. Road Ready: This option offers on-the-road peace of mind by utilizing a Love’s TirePass lane at Love’s Travel Stops. 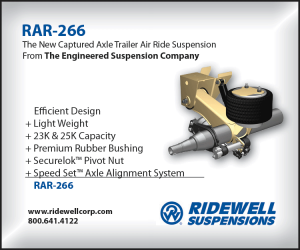 This allows operators to perform Tire Care inspections, optimal for line-haul fleets running coast to coast.